Hall of Famer Larry Holmes believes IBF, WBA, IBO world heavyweight champion Anthony Joshua has the full ability to become one of the greatest boxers of all time. The 67-year-old former champion admits he has been impressed by Joshua, whose next title defence is on October 28 when he faces Bulgaria’s Kubrat Pulev at Cardiff’s Principality Stadium. Joshua (19-0, 19 KOs), who won an Olympic gold medal in the 2012 London games, is regarded by many as the biggest draw in the sport. Holmes said - “I got to be heavyweight champion of the world when I was 30 years old and this guy (Joshua) is just at 27. I think he has a great opportunity to make himself known as one of the greatest fighters of all time. You’ve always got to think you are better than the next guy. If he keeps going I think he’ll be strong and I that’s what’s going to make him a great fighter. Holmes believes a fight between Joshua and WBC heavyweight champion Deontay Wilder, who defends his title against Bermane Stiverne on November 4 would be too close to call. Meanwhile, Joshua is in line to make more money from his Kubrat Pulev fight than he did from taking on Wladimir Klitschko. The British-born Nigerian won the vacant WBA, IBO straps against Klitschko with a dramatic 11th-round knockout back in April, before a record crowd of 90,000 in Wembley. 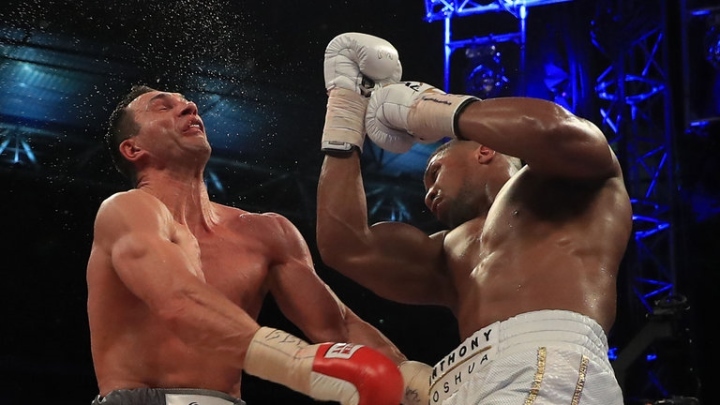 Joshua had to get off the floor in the sixth round to rally and score two knockdowns of his own to stop Klitschko. Leaning towards AJ for this. [QUOTE=alexguiness;18130335]As much as I am a skeptic of Joshua's real caliber... He have Wilder on queer street within 5 rounds. [/QUOTE] Who ya'll got at heavyweight Amigo??? [QUOTE=bluepete;18130305]Wlad, Whyte and Pulev are better than anyone Wilders faced. Can never remember the name of the guy that knocked Stiverne out in two rounds. [/QUOTE] I didn't even know Laverne had lost before Wilder. Youtube time.